The view of Lake Pend Oreille's Green Bay. The spectacular views along Mineral Point Trail No. 82 make the rocky, uneven dirt road down to the parking lot entirely worth the journey. Located less than 17 miles southeast of Sandpoint, the Green Bay camping area along the banks of Lake Pend Oreille provides not only a beach full of flat, perfect skipping rocks, but also easy access to a trail loop, monument, and picnic area. Beginning near the water, the 250 feet of elevation gain may not sound like much, but the hilliness ensures that more is gained and lost. Fairly steep sections of trail follow descending switchbacks, and every half-mile offers new surroundings. Though mostly shaded, the narrow trail switches between grassy, wildflower-filled areas and heavily forested sections. 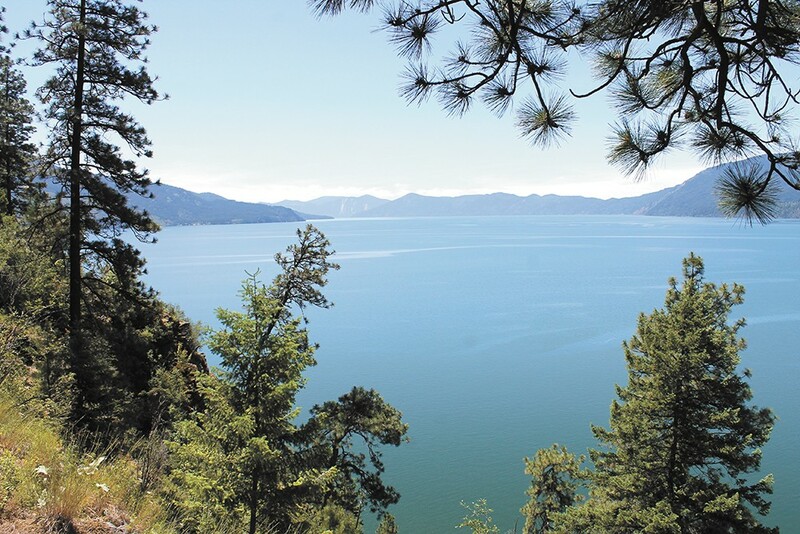 A few lookout points present stunning panoramas of the lake and Green Monarch Mountains.